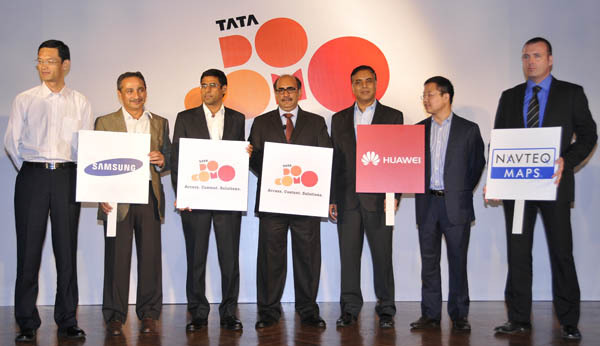 Tata Teleservices Limited today announced all its CDMA, GSM, 3G & Photon services will available under a new unified brand – ‘Tata DOCOMO’, which is currently used for its GSM services. So no more ‘Tata Indicom’ now. The feeling is quite weird, I know it’s just change of name, and the CDMA service will still be there. The company will migrate all Tata Indicom customers to Tata DOCOMO. The migration is nothing but rebranding and any Tata Indicom subscribers need not to anything to move to Tata DOCOMO. As a result of this unified branding now all the products of Tata Teleservices will be available through a single retail network. Along with this TTL also announced that it will upgrade CDMA network to unlock next level of data usage. The company will also come up with new CDMA phones, including smartphones. Tata Teleservices Limited also unveiled Photon Max on Tata DOCOMO, the latest addition to its Photon family of high-speed mobile broadband access products on the CDMA platform, which works on the REV.B platform and offers extremely fast surfing speeds. At the time of launch itself, Tata Photon Max is available in five metropolitan cites—Mumbai, Kolkata, Delhi, Hyderabad and Chennai, with another 22 key cities across the country set to be mapped by the end of the year. The migration of services to the unified Tata Docomo brand will happen in Delhi-NCR at a later date. This will not impact TTL’s Indicom, Photon and Walky consumers in Delhi as they will continue to get the same quality of service as in the past. I have been a Tata Indicom subscriber since last 6 years, it was my second connection after BSNL which I got in May 2005. I have some very fond memories with my ‘Tata Indicom’ connection, the brand doesn’t exists anymore but the memories does. I remember the Tata Indicom’s singnature tone and that Sourav Ganguly’s ad and much more. I think those who were Tata Indicom loyalists will be able to understand my feelings.